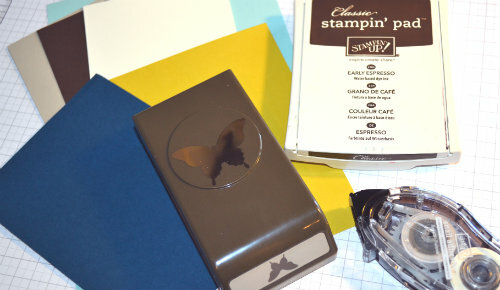 Using just the following items (card, glue, ink, one stamp and a punch) I'm going to show you how easy it is to make a card. 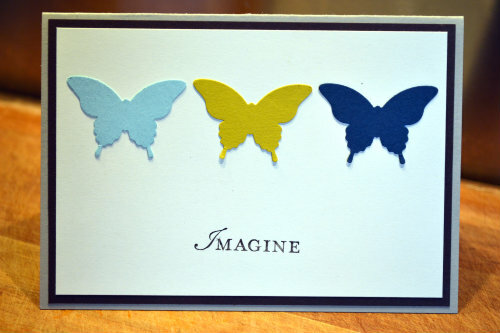 Take your punch and punch out three different colours of cardstock. 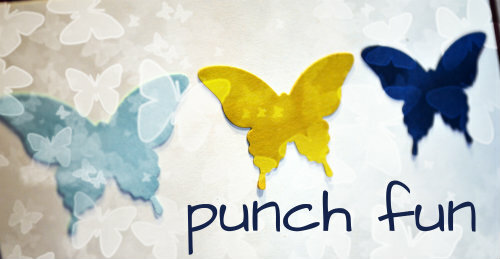 I've used a butterfly but you could use any punch. Shapes like hearts, stars and animals or flowers work best. Line them up and glue them down to a background piece of card. Stamp a sentiment (if desired) and layer it on contrasting card to create a frame, before sticking it down on the base card. So simple anyone can do it. You could event repeat the punched image to fill the whole background card for a different effect.